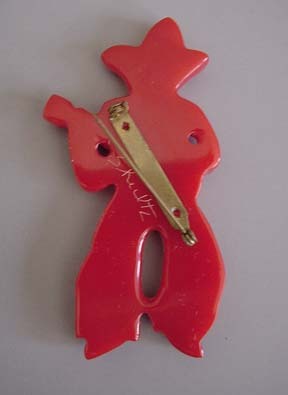 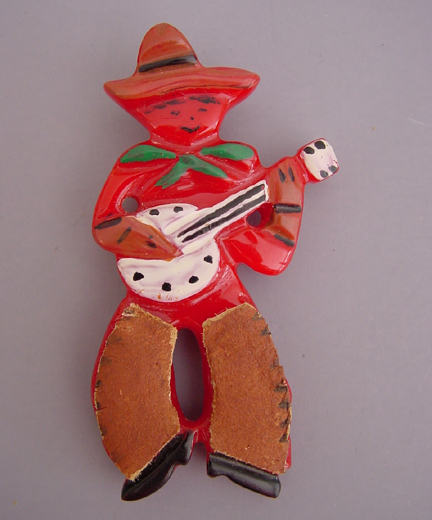 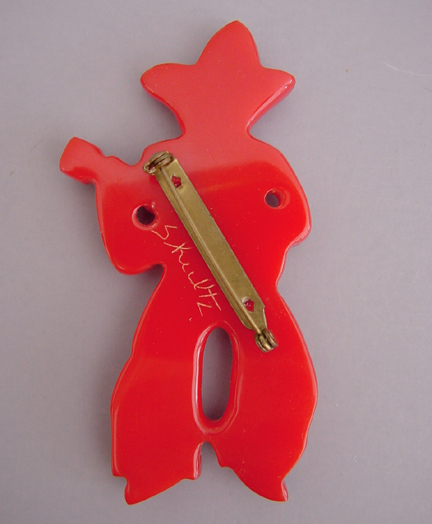 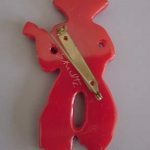 SHULTZ bakelite red smiling guitar-playing cowboy brooch with hand painted details and leather chaps cowboy. 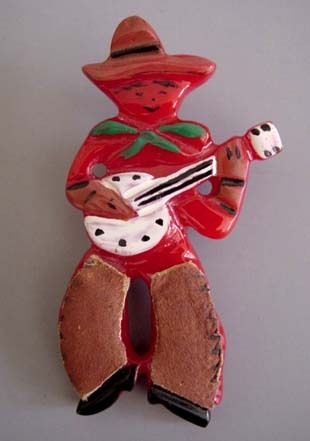 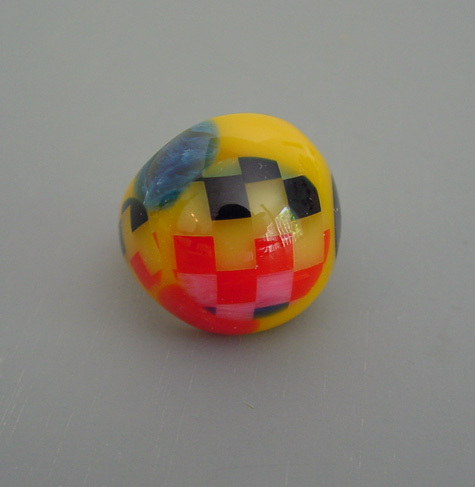 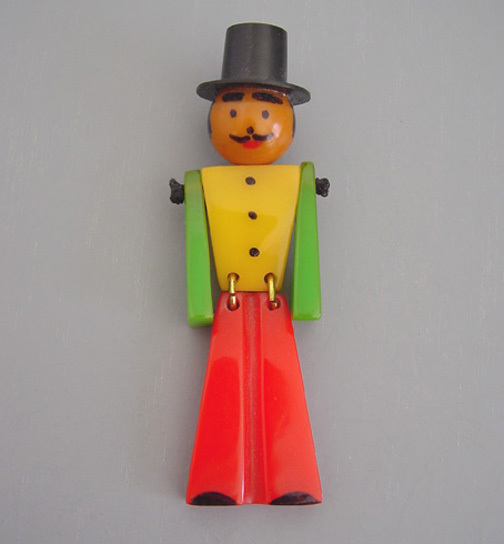 It was made circa 1990s and it's 3-1/3" tall. 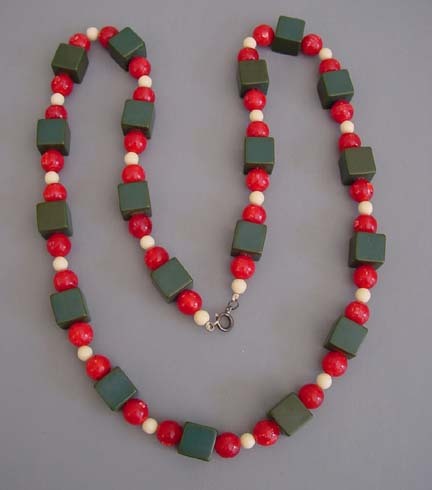 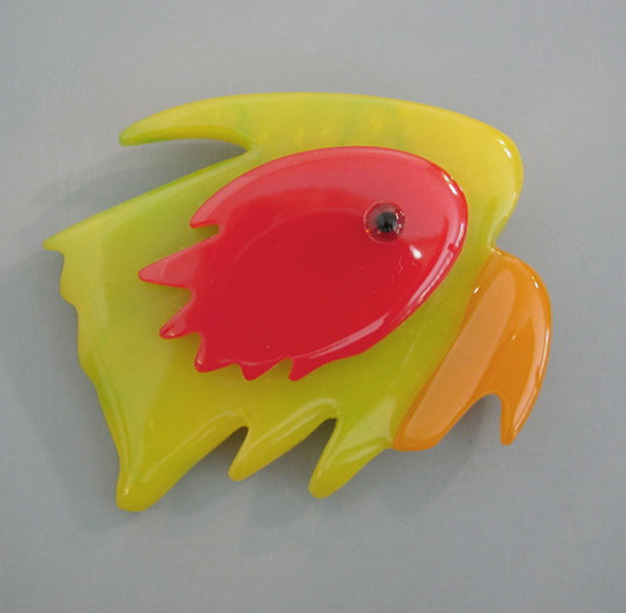 Not many artisan made bakelite brooches have this amount of detail.